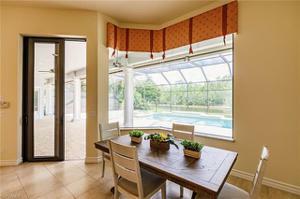 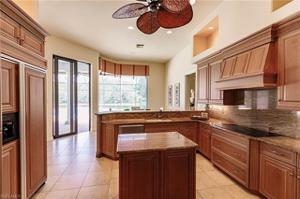 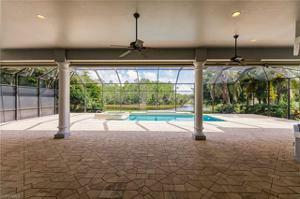 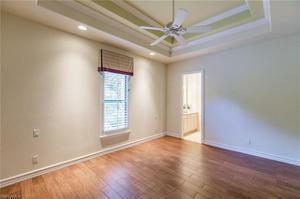 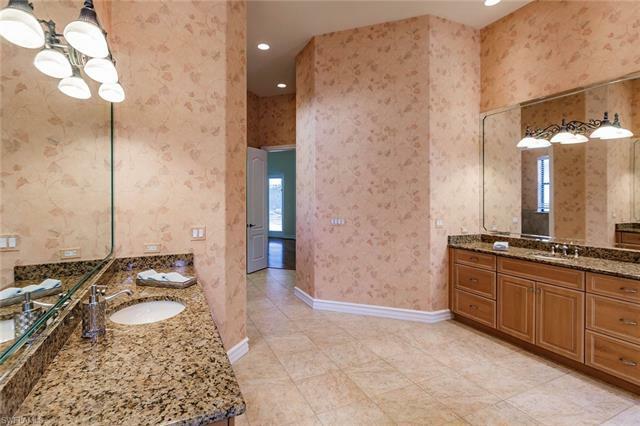 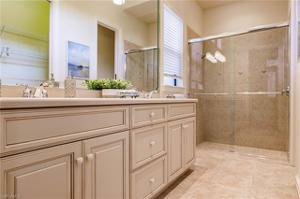 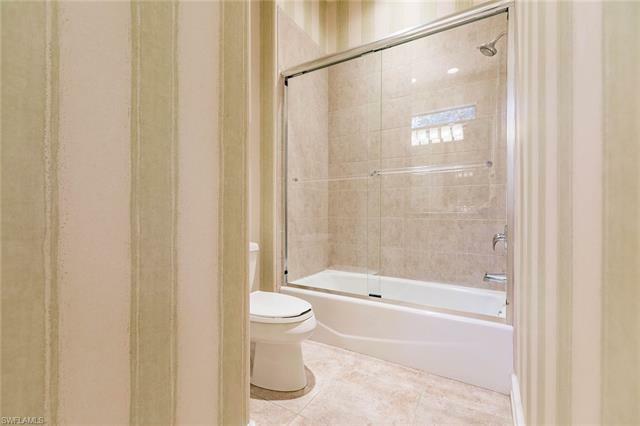 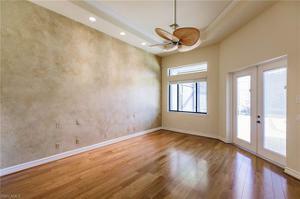 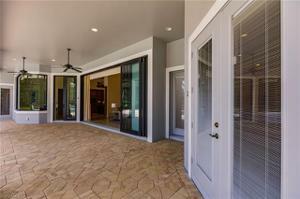 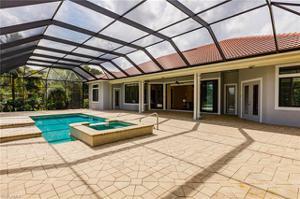 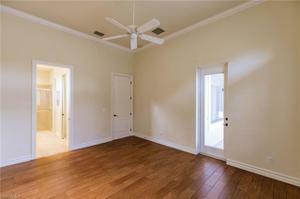 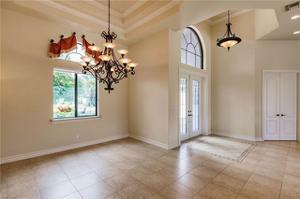 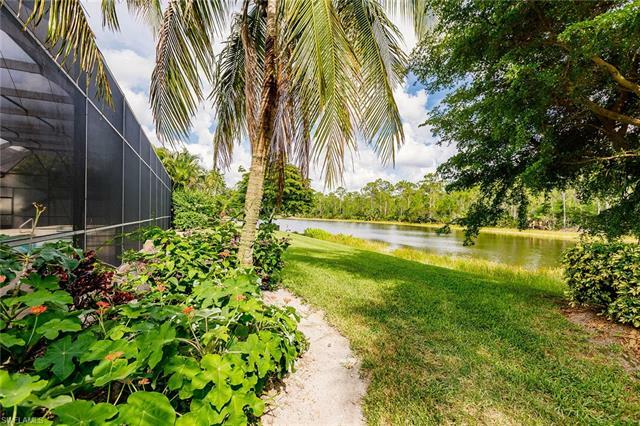 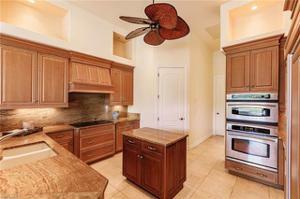 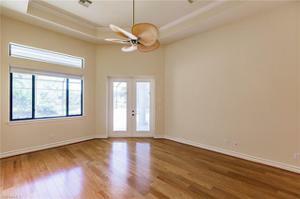 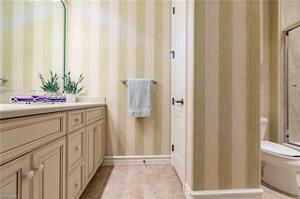 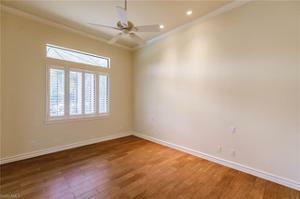 Private and Tranquil Southern exposure cul-de-sac location with fabulous lake to preserve view. 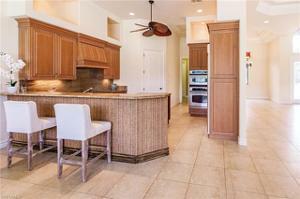 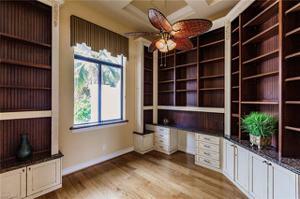 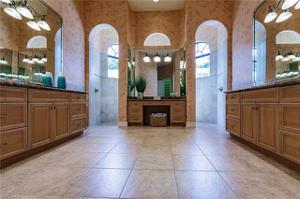 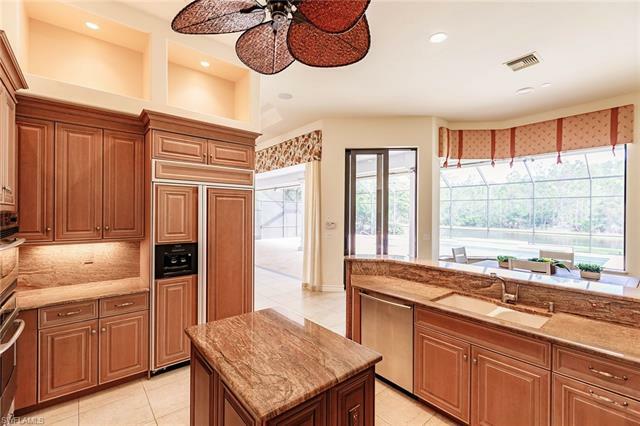 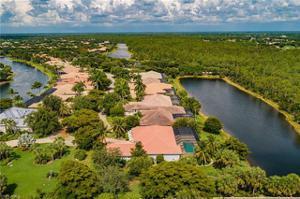 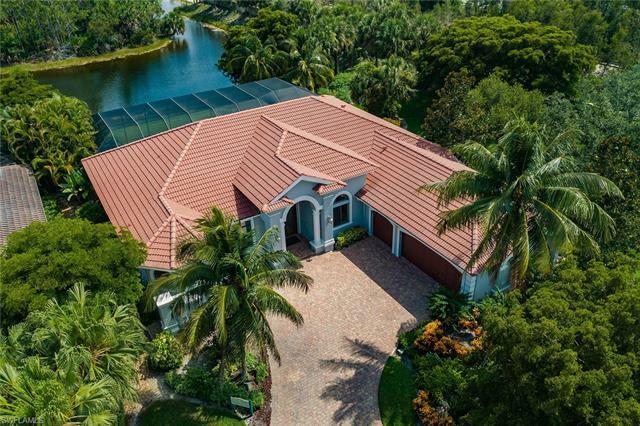 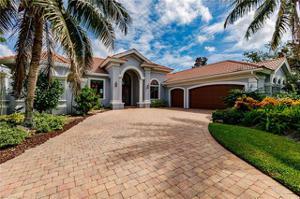 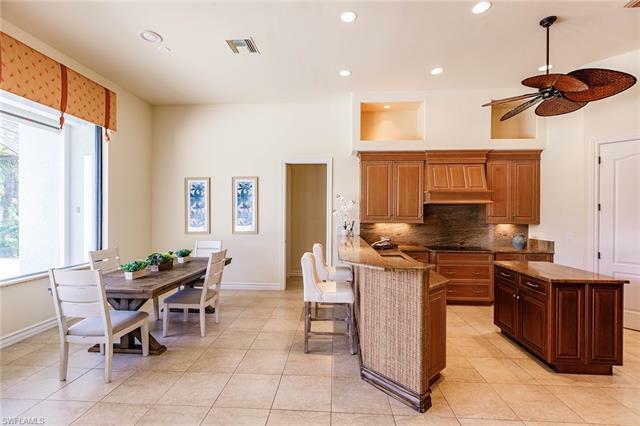 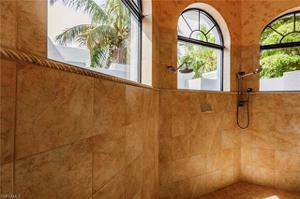 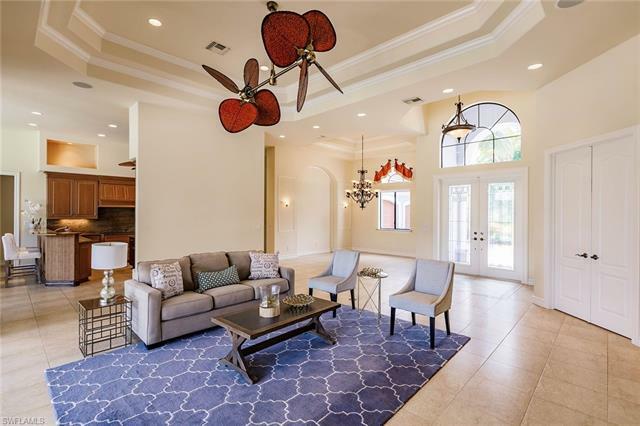 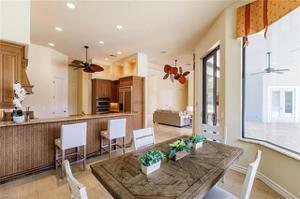 This custom Harborside Luxury Home features 3 bedrooms, den, 3.5 bathrooms, and a HUGE lanai with over 3,000 sq. ft. of outdoor area that is great for entertaining guests. 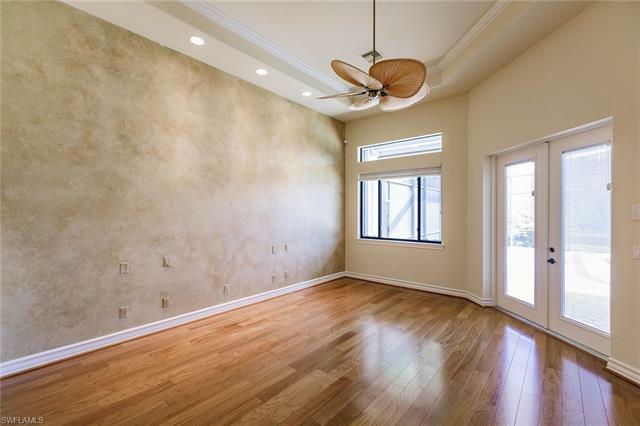 Spacious kitchen with granite Island, stainless steel appliances, gorgeous raised-panel cabinetry, and views from mitered window in morning room. Stand out features in this home include tray ceilings, wood flooring in all bedrooms and den, French doors from master suite to lanai and spacious master bath with open wraparound walk-in shower, large walk-in closets, en-suite bathrooms in all bedrooms, ELECTRIC HURRICANE PROTECTION, and custom tile inserts. The 3rd car garage is currently an air-conditioned bonus room which can easily be converted back to a 3rd garage space if desired. Shadow Wood Country Club offers 54 holes of private golf membership, private beach club, pickleball, member-only restaurant/Rookery, fitness facility, lap pool, fitness classes, tennis courts and an active lifestyle.